I have spent more time talking to people about Lucky Cricket than any other restaurant in the history of this town. This is all Andrew’s fault. The backstory: Andrew (disclosure: I’ve known Andrew for a decade and consider him a friend) really stepped in it when he gave an interview to Fast Company that was, overall, excellent. You have to sit through eight minutes of Andrew apologizing for the first season of Bizarre Foods being culturally insensitive before you get to his comments about his new restaurant, which were, frankly, culturally insensitive. It’s fine for Andrew to sell his place as a new, major step up from the shopping-mall and airport Chinese restaurants out there—but as a veteran media personality, he should have known better, should have been more specific, should not have painted with such a broad brush. That said, the internet did its thing, painting him as a cultural appropriator and a jerk. In fairness, no one has sent me to a greater number of small, family-operated ethnic restaurants across the country and around the world than Andrew. He apologized, but he set Lucky Cricket up to be judged harshly. And it was. In my mind, unfairly—attacking it for selling merchandise (no one rips on all the taprooms that sell merch) and prematurely (non-review reviews in the first couple weeks). So how is it? I wish my answer were easy. It’s great! It’s horrible! It’s groundbreaking! It’s disappointing! It’s all of that. Lucky Cricket is intended to be a chain of restaurants. The goal was high quality, like Capital Grille or Oceanaire, but with the wide distribution of Cheesecake Factory. It’s no mistake that Andrew opened the first one in the Shops at West End in St. Louis Park. This is not a restaurant meant for people who have been to Beijing, or who’ve eaten in Chinatown in New York or Los Angeles. It’s meant for the rest of us. For the people whose main exposure to Chinese food is orange and sesame chicken. And, indeed, the restaurant showcases flavors that most of us have never experienced before. 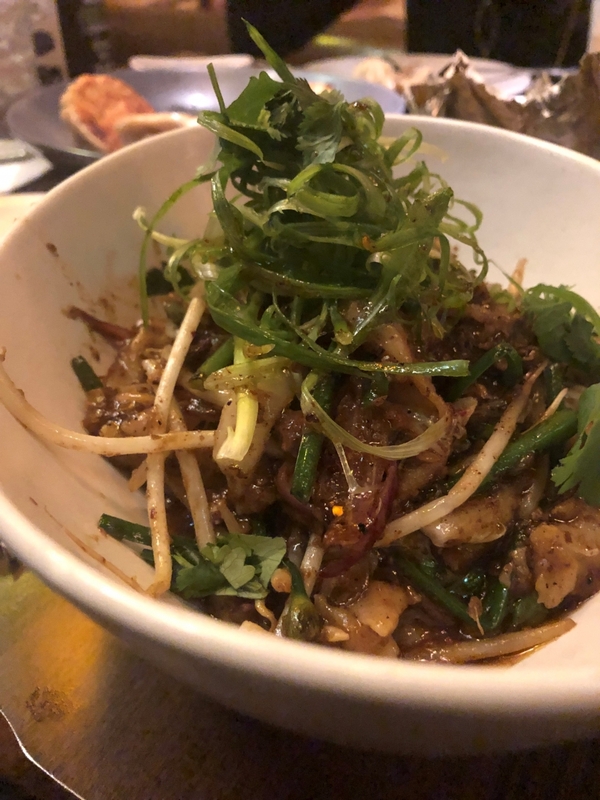 The heavy cumin and Szechuan peppercorns make the Crispy Toothpick Lamb so craveable, and at $18 it’s a perfect sharable plate to set the mood with family. Maybe you’ve had this at Tea House near the U of M, but I can guarantee you my in-laws in Plymouth and my neighbors in Maple Grove have not. And they’ll love it. The bright and light crunch of Japanese chives in the Lucky Lettuce Wrap alone makes Lucky Cricket worth a visit. Both of these dishes present new flavors for many in our community. I adored the hand-cut noodles ($16), with Xi’an-style spicy lamb. The noodles had great consistency, nice chew, and the ragged, irregular cut this style is known for. Again, lots of cumin in this dish, as well as bean sprouts and cabbage scallions. A treat. At lunch, get the fried chicken sandwich topped with shredded pickled cabbage and served with fabulous lotus root chips ($14). The chips are awesome, and, in fact, part of the successes at Lucky Cricket is that things come in larger quantities. 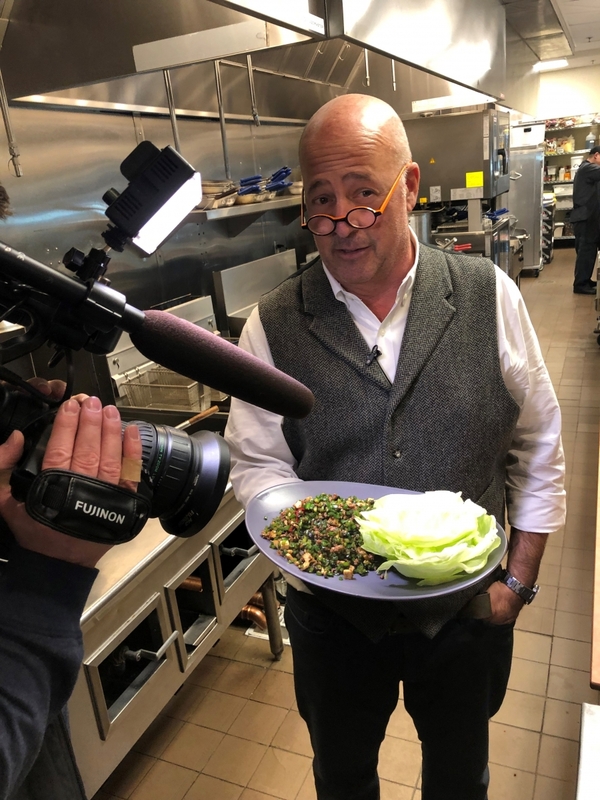 Both the soy sauce and the chili oil, sitting on each table, are Zimmern recipes, and both are so perfect that I’d love to buy them and have them at home. But then there are issues. 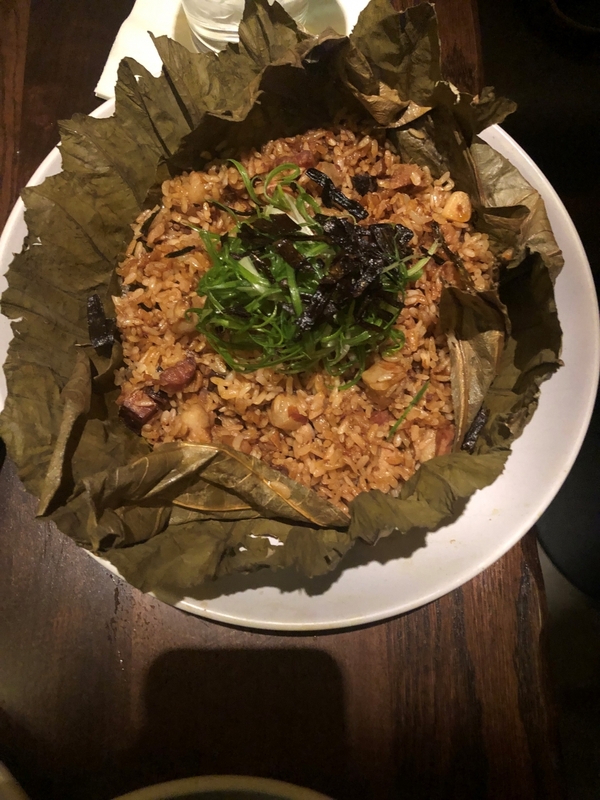 I found the sticky rice in the lotus leaf with pork belly and in the Chinese sausage to be woefully under-seasoned and disappointing. If you’re going to rip on P.F. Chang’s in an interview, you’d better have a fried rice dish that competes with theirs. 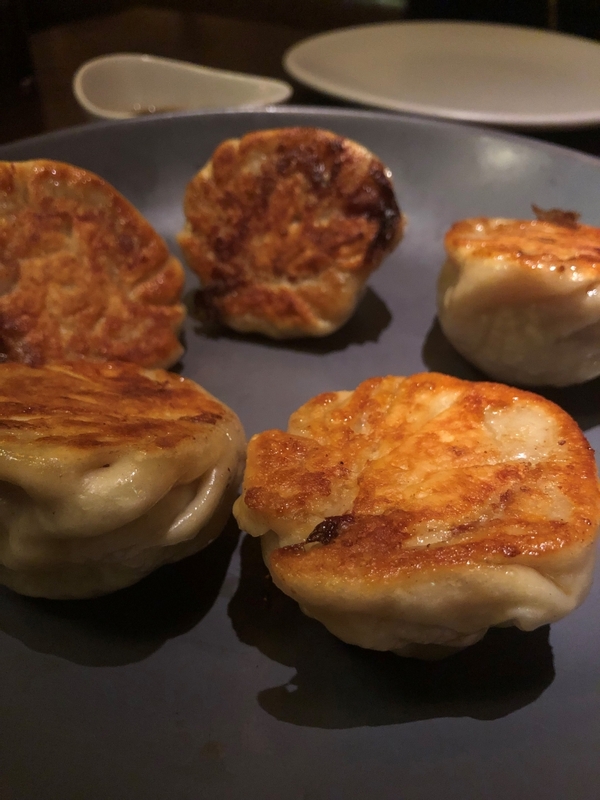 The pork dumplings are fried with a sort of crisp skirt—connected together so there’s no risk of ripping them open during the flip. It’s cool, it’s striking, but they were slightly undercooked. A trend we saw: recipes that seemed like good concepts and had good elements but weren’t executed correctly or seasoned fully. So, how do we judge Lucky Cricket? Do we compare it with the Xi’an-style, hand-tossed noodles in New York City? 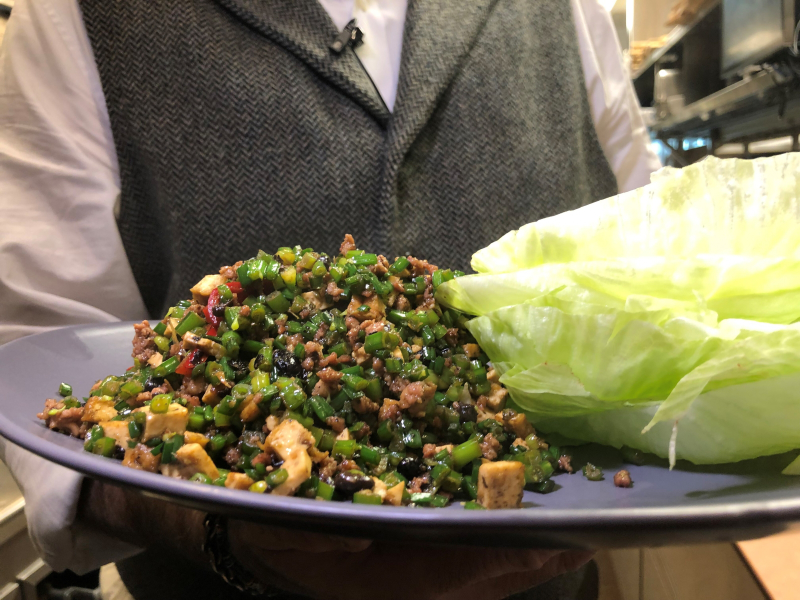 With Happy Stony, the New York restaurant that inspired the Stony’s Flyhead Lettuce Wrap (now called the Lucky Lettuce Wrap)? Or do we compare it with multi-unit restaurants like Crave—a model of consistency, if not culinary ambition? I brought the best home cook I know to lunch with me at Lucky Cricket. He’s a native Minnesotan of Chinese origin. He’s traveled the world and eaten at the finest restaurants. It was his second visit to Cricket. 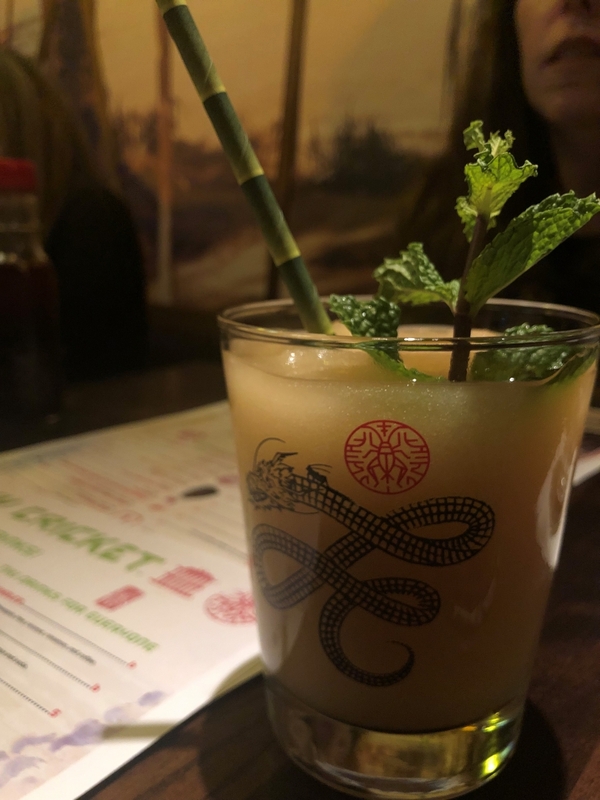 We both identified execution issues on about half of the dishes we ate, and, at the end of the meal, he said, “This is a big step forward for Chinese cuisine in America.” His view: There’s great potential here to expand understanding of a cuisine that goes way beyond orange chicken and egg rolls. That’s my view as well.